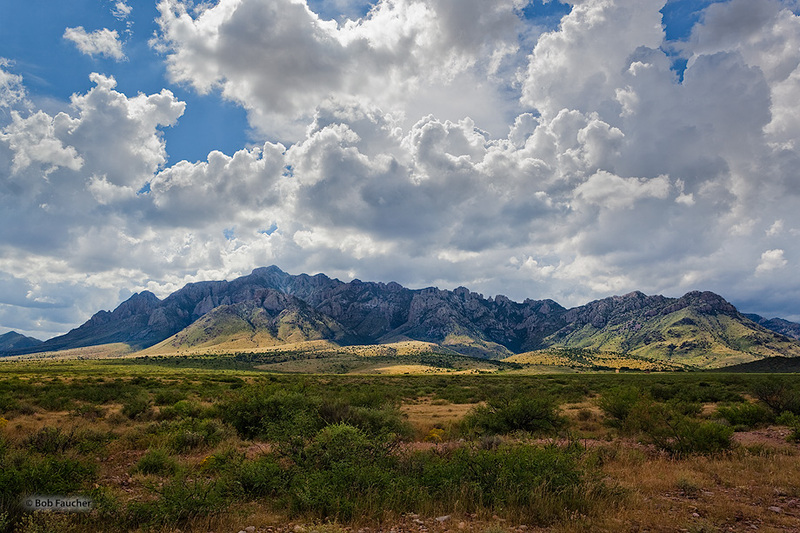 The Chiricahua Mountains massif is a large mountain range in southeastern Arizona which is part of the Basin and Range province of the west. They are part of an "archipelago" of mountain ranges known as the sky islands that connect the Sierra Madre Occidental in Mexico with the Rocky Mountains. Photo © copyright by Robert Faucher.